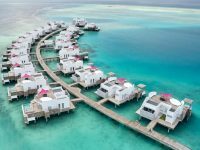 Maldives has won the Seven Stars Destination Award at the 2018 Seven Stars Luxury Hospitality and Lifestyle Awards (SSLHLA). 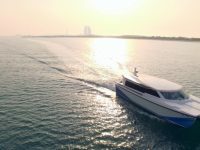 Maldives competed with other world-class destinations such as Dubai, Seychelles, Mauritius and Singapore to win the Signum Virtutis, the Seal of Excellence, in the Seven Stars Destination category. 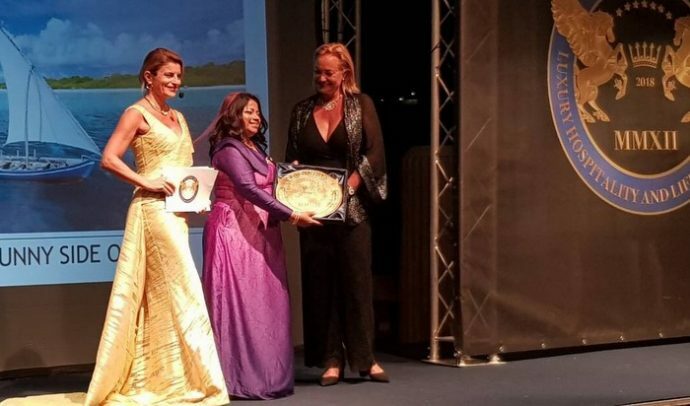 Dr Hala Hameed, the Maldives ambassador to Switzerland, received the award at a gala held on October 6 at the Capsis Out of the Blue Elite Resort in Crete, Greece. 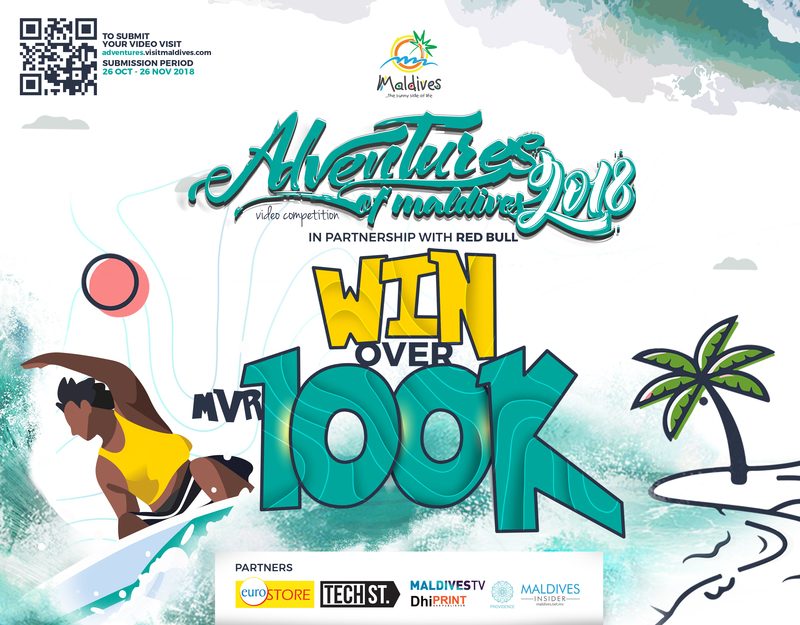 This is the third time that the Maldives had secured this award, after having won the same category at SSLHLA in 2013 and 2014. 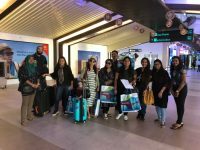 “For a world-class destination, winning at the Seven Star Luxury Awards will enhance the image of the destination as a high profile luxury destination,” Maldives Marketing and Public Relations Corporation (MMPRC), the official tourism promotion agency of Maldives, said, in a statement. The 2018 Seven Stars Luxury Hospitality and Lifestyle Awards, held in Crete at the amazing Out of the Blue Capsis Elite Resort, showcased the pinnacle in luxury hospitality and lifestyle to the world. Winners hailing from Nigeria, Bali, Fiji, Cyprus, Greece, Mauritius, Maldives, Turkey, Russia, Zanzibar, South Africa, Switzerland, Italy, Germany, and Austria were present at the highly exclusive gala ceremony held at the stunning Cretan Resort. HSH Prince Massimiliano della Torre e Tasso, Baroness Nerina Keeley, Greek Star Nina Lotsari, Carmen Edelson, Thanos Liontos, Amani Vernescu, star Photographer Oliver Jiszda, Miriam Seferian and Andrea Luri were amongst the Luxury Panel Members of the SSLHLA in attendance in order to present winners with the SIGNUM VIRTUTIS , the seal of excellence. Entertainment for the evening was provided by talented Greek Mainstream Star Naya who mesmerized the crowd with her Voice, high energy and stunning looks. The event was hosted by Turkish Celebrity presenter Ece Vahapoglu who brought glitz and glamour to the stage with her impeccable style and beauty. 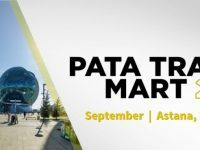 “The event was a great success with winners from over 15 different countries. We are delighted to have been the first luxury hospitality award to host an event in Crete and I am sure it will not be the last time. 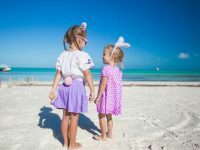 This great Island offers fantastic hospitality, a great climate, and warm people,” Khalil El-Mouelhy, Chairman President/Founder of SSLHLA, was quoted in a statement, as saying. 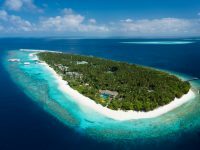 Now in its sixth year, the Seven Stars Luxury Hospitality and Lifestyle Awards is designed to identify and to separate the exceptional from the very best by bestowing the Signum Virtutis, the seal of excellence upon the most exceptional luxury hospitality and lifestyle properties and products worldwide. The number of winners each year is capped in order to provide maximum exclusivity and benefit for the winners.